We offer both valet parking, as well as metered street parking right outside our lot. 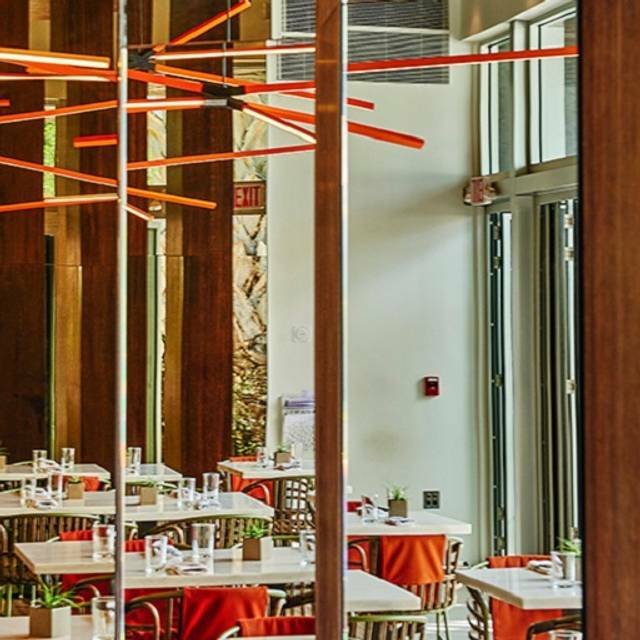 Under the direction of Executive Chef, Horacio Rivadero and Pastry Chef, Veronica Manolizi, Plant Miami offers a seasonal and fresh approach to vibrant organic living cuisine. 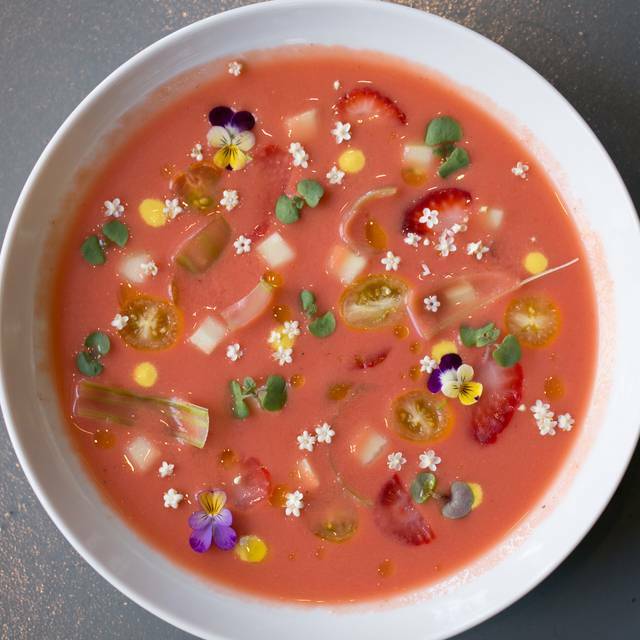 Many of our ingredients are locally sourced, including produce and 57 varieties of edible flowers and micro-greens from our sister property, Paradise Farms organic, located in Homestead. 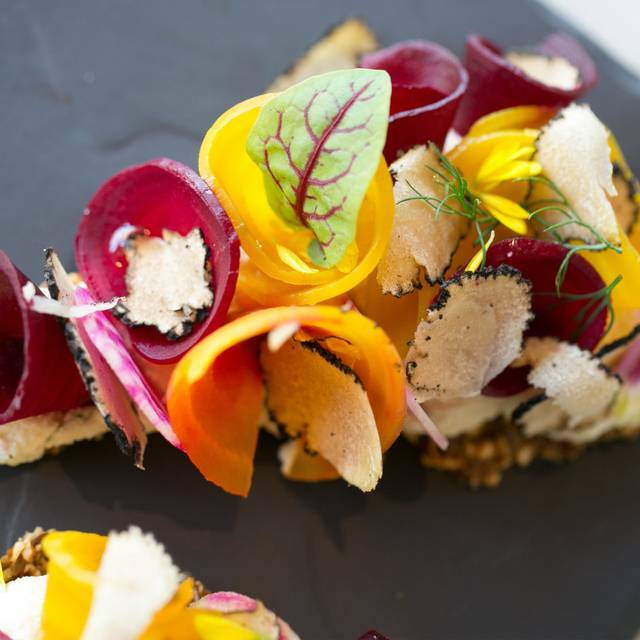 Our ingredients highlight the season's best produce and are the inspiration for our vibrant plant based menu. 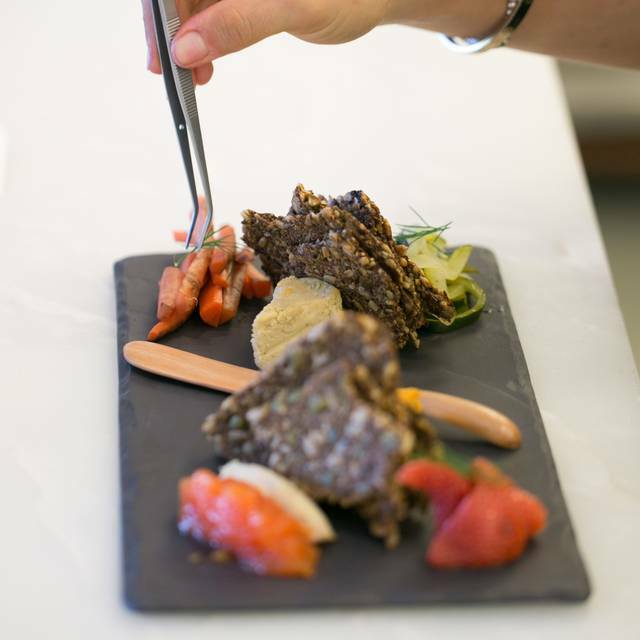 Plant based desserts, craft cocktails, organic spirits and biodynamic wines. Dine on our outdoor deck overlooking our serene pond and garden. Certified Kosher Vegan, dairy and gluten free. 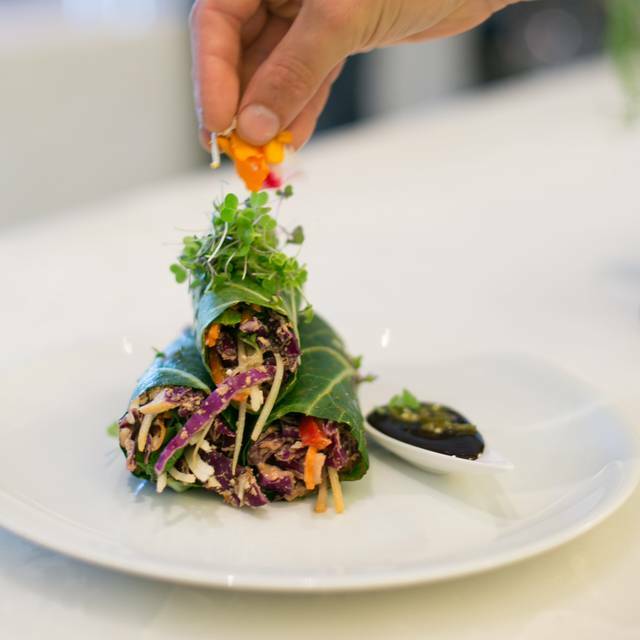 Located at the Sacred Space Miami, in the Wynwood Arts District, Plant Miami is located adjacent to Plant Culinary Miami, a state-of-the-art raw food culinary school, ongoing classes starting in early 2018. The most wonderful restaurant in the world. Amazing space, very peaceful. Delicious food, happy belly! Food was amazing and the staff couldn’t be nicer!!! The chef was unacommadating to my 80 year old mother whose birthday we were celebrating on Thursday the 11th. Our waitress looked tired. As a Vegetarian I was happy to go there but I left there with disappointment. I am a neighbor so if I go back it will take a lot of convincing. I used to love Plant. I brought my friends here for outings and Always raved about the service. I had a bad experience last time I went, but I talked to management and gave it another chance. Today changed that whole idea for me & I wouldn't recommend this place to anyone. I came here with some friends for brunch & I've never experienced worse service. The server didn't know any details of the menu items - told us there's no whipped cream when it's on the menu. A part of our meal was forgotten. We had to ask other servers for missing items. Silverware was forgotten for each course after appetizers. We had to ask twice for our check & waited for 45 minutes. In that time, no one offered to give us water or ask if we needed anything else. With a brunch that should've taken an hour and fifteen, we were there for more than 2 hours. We tried to speak to management about the service, but a manager was no where to be found. Even Denny's would have better service to offer. Food was good, but very small portions. For the price and service, you're better off anywhere else. Waste of time & money, my boyfriend and I left hungry..
Plant is in a lovely setting but food is somewhat overpriced and portions are small on the brunch menu. Unbelievable spot, one of my favourite restaurants I have ever been to and every time we come to Miami we make sure to come. It seemed we were served by everyone which was strange, our actual server stopped by more than once to tell us he knew we had ordered with someone else and he was “on it”. Chef is on his phone in his open kitchen but maybe that’s being too picky? Phenomenal overall. Loved the food! Different and tasty. The drunk I had made me sick for the next 24 hrs , beside that everything else was good ! My friends choices didn’t get her sick ! But the water melon did it ! Not sure if it was totally bacteria free or if i’m allergic to it ? I’m not allergic to anything I thought !! Great vegan place! Loved the cocktails, food, and the ambiance. The teas were just ok.
Great vegan restaurant! The food is presented like art. It’s also gluten free and mostly uncooked, really delicious. Our server’s assistant Chris was excellent, very attentive, helpful and sincerely interested in making sure we had a great experience - food was fabulous, as usual. 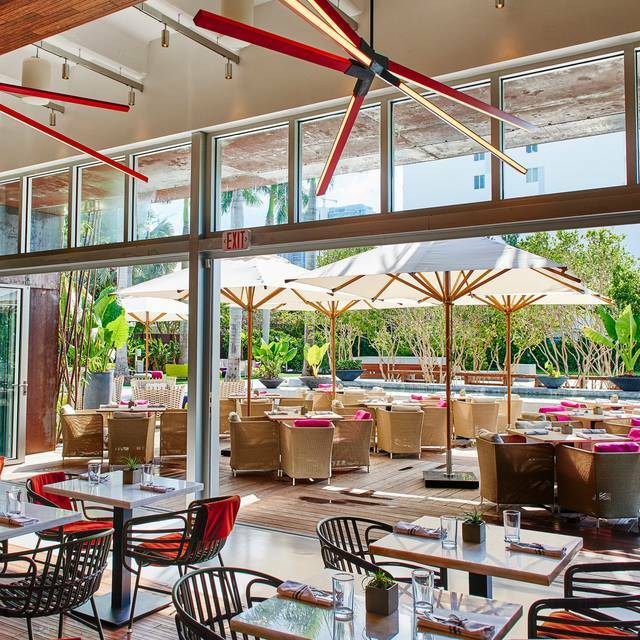 Plant Miami is absolutely delicious. The presentation was stunning, ambiance beautiful, and service great too. Always excellent food, serving staff can be more on top of it. Loved every bite and every second of this experience. Food was good, service could have been way better. We were ready for about 25mins before they came to take out order, and the restaurant wasn't even busy. Some employees look the they don't even wanna work there. Don't get me wrong service wasn't bad but for a upscale place like this i definitely expect a friendlier more upscale service. Waitress barley spoke to us or even acknowledged that we were there. The receipt was brought to me paper clipped to a junk piece of paper, not even a booklet you see at most restaurants or even bars. Felt like cause of my age and the way i was dressed i was treated differently then any of the others there at the moment. I've been to other restaurants and bars that have treated me better and I've tipped them more then my meal. Long story short I wouldn't have been writing this review but once after paying and signing off on the receipt the employee asked why i tipped him so little, and that i can give him more. After I've already given more then 10%, even that wasn't worthy for the service but i didn't wanna leave w/o tipping on a pricey bill for 4 dishes. Overall the food was good but for the price they charge you at this upscale restaurant they can definitely provide much better service and a classier approach to its customers like not handing you a receipt paper clipped to junk. Also training there employees to not say you can give me more then what i had tipped. Maybe if you guys can treat all your customers the same. 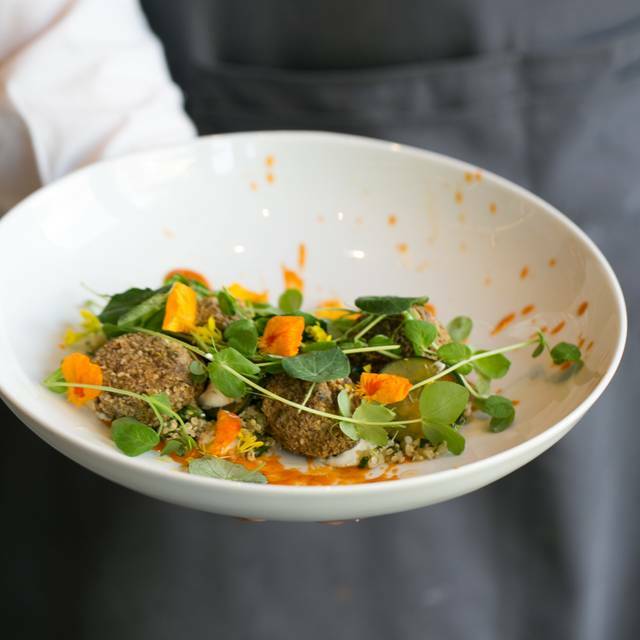 Wonderful, healthy, creative plant-based dishes presented in artistically beautiful and photo worthy manner! Knowledgeable staff. This was our first visit, but it won’t be our last. We truly had a beautiful time with delicious, healthy, nurturing food and drinks. Wonderful experience. The only thing that I would add is live music. Loved it. Great ambience. Great food. Easy parking. Will go back. And recommend it. The food was wonderful, the service was impeccable and the ambience was awesome. The only downside was when it was time to leave. I didn't want to. BY FAR the best Vegan fare I have had anywhere. Add in the beautiful, lush, and calm garden ....well, it is a delight for all senses. I cannot wait to return. Amazing food with a major creative touch. 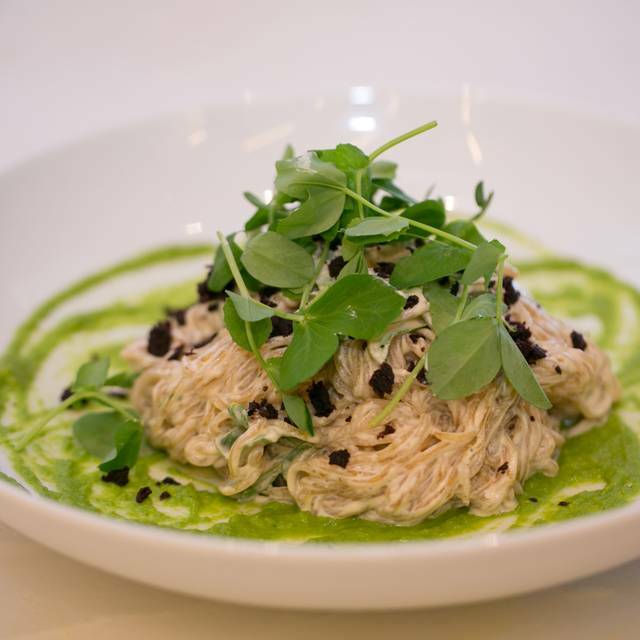 Very inspired dishes and healthy options. Yet... delish!!! This is an extraordinary dining experience. The service is absolutely spectacular. The food and the presentation are out of this world. I highly recommend this restaurant to anyone who is a vegan, or considering being a vegan, or just enjoys great food! I’d recommend this place if you are okay with really delicious food and horrible service. I honestly haven’t been to a supposed fine dining establishment where the servers just straight up forget about you. That being said the food is delightful. As someone with food allergies it’s a godsend for me to have a place like this, just wish the service was up to par. Love everything, a great discovery. The approach to food and the calmness of the place made this meal a unique experience for the belly! Amazing experience. One of the best vegan restaurants I have been to. The food was delectable. Amazing creativity in term of taste and visually .... the food is just “Wahou”!!! We arrived on time and were told they were running late and that we had to wait. There was no apology just a statement. Once finally seated over 25 minutes later, we were sat at a table far from the restaurant, literally lighting and were told that was our only option unless we wanted to wait even longer. When we poi Ted out empty tables closer to the restaurant, we were told they werent available. The service was beyond slow and there was no mention of our anniversary (which was specified on the reservation). It was a really poor experience and we do not recommend this restaurant. 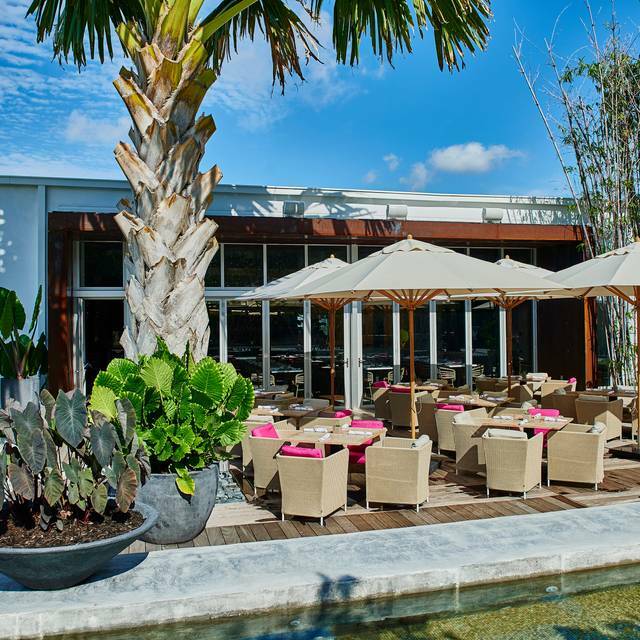 If you are looking for a gorgeous, trendy, plant-based restaurant in Miami - this is it! The dumplings, kelp noodle dish, and cheesecake were fantastic, as were the drinks which use cold-pressed juice. I would skip the lasagna. The ambiance was excellent and our server was very nice. The only downside is that service was very slow and they brought out the appetizers and first course at the same time.. I think they were having an event that night but a little disappointing to shell out $200 for dinner and have to wait so long to get drinks. Best food we ever had!! Each dish was a creative, healthy masterpiece. These chefs have the same magic that the chefs at Pure Food and Wine had. You will not be disappointed! Delicious food, amazing ambiance and excellent service. Will definitely be returning next trip!